Foursquare is planning to show full user names on profile pages, explaining during a recent community email that older policy has become confusing. “If you seek for an exponent on Foursquare, we have a tendency to show their full name in the results, but after you click through to their profile page you don’t see their last name.” The team says these abbreviations made sense in Foursquare’s early days, however recently users have been inquiring for change. Beginning 28th January 2013, users’ “full names” will be displayed across the check-in service and venue house owners will have increased access to users’ check-in knowledge, the corporate announced in an e-mail sent to users late last night. The company says that the changes are aimed at making the means it displays users’ names less confusing and allowing businesses to see a lot of visitors who have recently checked in at their venues. It has also printed a new document known as Privacy 101 which explains the principles of Foursquare’s approach to privacy in plain English. Your customers are out there, constantly searching for places to go, games to play, and things to buy. 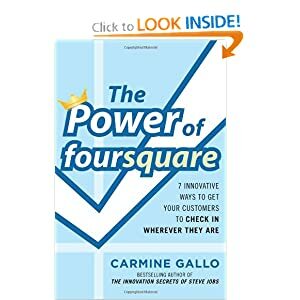 Leverage The Power of foursquare and your customers will be in constant competition with each other over who loves your products and services the most. A marketers masterclass on how to use location based services for marketing, provision of proven campaigns, marketing tips, local engagement principles and how to get Foursquare to do it all for you! Check now for special price!